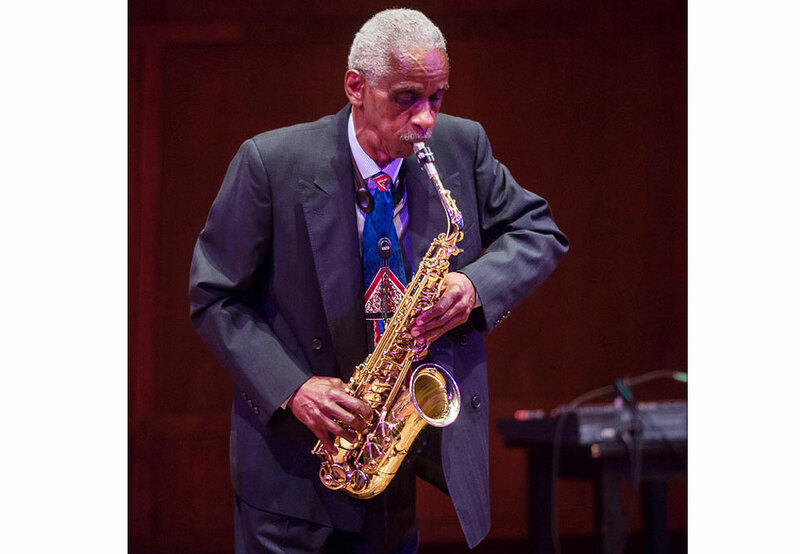 Roscoe Mitchell performed last weekend at a concert put on by Table and Chairs at Benaroya Hall. Table & Chairs, a New Music record label located in Seattle, brought the legendary saxophonist and composer ROSCOE MITCHELL to Benaroya Hall, where he was featured in a concert dedicated entirely to his landmark composition, “Nonaah” [no-NAY-uh]. The performance featured a rare, extended solo saxophone performance by the composer himself, as well as several different arrangements of “Nonaah” spanning the length of Mitchell’s career. Starting off the musical performances was a Cello Quartet version of Nonaah featuring David Balatero, Natalie Hall, Brad Hawkins and Lauren McShane, conducted by Marcin Pączkowski. Then Roscoe Mitchell played his solo version of Nonaah, followed by an Alto Saxophone Quartet of Jacob Zimmerman, Ivan Arteaga, Andrew Swanson, and Neil Welch. Bad Luck, Neil Welch, tenor saxophone and Christopher Icasiano, drumset then played their version, Nonaah Reimagined. This entry was posted on Wednesday, July 17th, 2013 at 12:32 pm	and is filed under JAZZ and tagged with Jazz Photography, Seattle Photographer, Seattle Photographers. You can follow any responses to this entry through the RSS 2.0 feed.